Anyone for Caribbean Chocolate Cake? 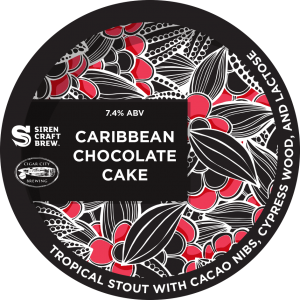 Saturday 31st October - Our Tap Room, Berkshire The first place you'll be able to enjoy Caribbean Chocolate Cake this year is our Tap Room in Finchampstead. 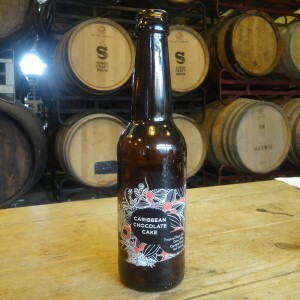 From 10am on Saturday 31st October we'll have CCC on keg along with bottles to take away. If you're planning on visiting in a large group please contact us in advance so we can help you out with food and space on the day. We hope to see you there! Alternatively you can also buy online from Saturday 31st October. Wednesday 4th November - The Duke's Head, Highgate We're delighted to be joining "Darker Days 2: The Darkening" with a special Caribbean Chocolate Cake food pairing celebration at The Dukes Head. From 7pm - 9pm We're running a meet the brewer, tasting sessions on keg and cask plus a showcase of the beer cooked and baked with food from Le Bao, Batch Bakery (TBC) and Truffles Delicatessen. Click here for tickets. From 9pm onwards The Dukes Head opens up to the public for a Caribbean Chocolate Cake launch party not to be missed (plus a few other specials on keg and cask). Thursday 5th November - Blackfriars, Edinburgh Blackfriars is an independent restaurant and bar just off the Royal Mile in the heart of Edinburgh's historic Old Town. It's famed for its restaurant offering a 4 course set menu of honest, produce-driven cooking served with care. 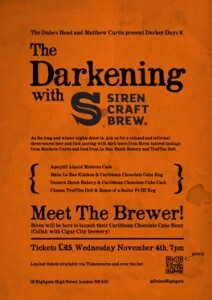 We'll be working with them to match all four courses with carefully selected brews, with Caribbean Chocolate Cake of course being the centrepiece. Here's the final menu: SOUSED MACKEREL, SQUID, SEAWEEDS Matched with: Blue Sky, Blue Sea GAME SAUSAGE, PUMPKIN, ONIONS, OUR BROWN SAUCE Matched with: Undercurrent GOAT, BEETROOT, CELERIAC, COCOA AND MALT Matched with: Caribbean Chocolate Cake PARKIN, HONEYCOMB ICE CREAM, CHESTNUTS Matched with: Uncle Zester Click here for tickets to this event. If you've got any questions please give us a shout, if not, enjoy the events and the beer!